Are you in to transform Dubai into the most active city in the world? It all starts by tracking your 30 minutes of daily activity for 30 days with the Dubai Fitness App. Download your motivation today. 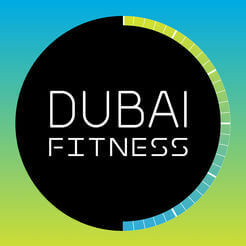 The Dubai Fitness app brings fitness to your pocket. Whether you’re going for a run or bike ride, hitting the gym or taking a yoga class, you can easily record and review your daily activity, and sync with top fitness apps. Join your friends, family and colleagues and stay motivated along the way. Be part of an ever-growing fitness community and find, follow or create your own groups. Discover new activities and find a passion for staying fit. Browse thousands of free classes, events and activities. From cycling to yoga, running to bootcamps, there’s something for everyone. Plan your schedule ahead of time, so you know exactly what you’re doing on any given day.